This week sees the London International Animation Festival take place at the Barbican, and the Horse Hospital, it finishes on Sunday but plenty to see and do until then! You can see a collection of the best music videos featuring animation or how about the Late Night Bizarre featuring anti-classics of weird and wild animated films?! See the full schedule here to see what else is on. 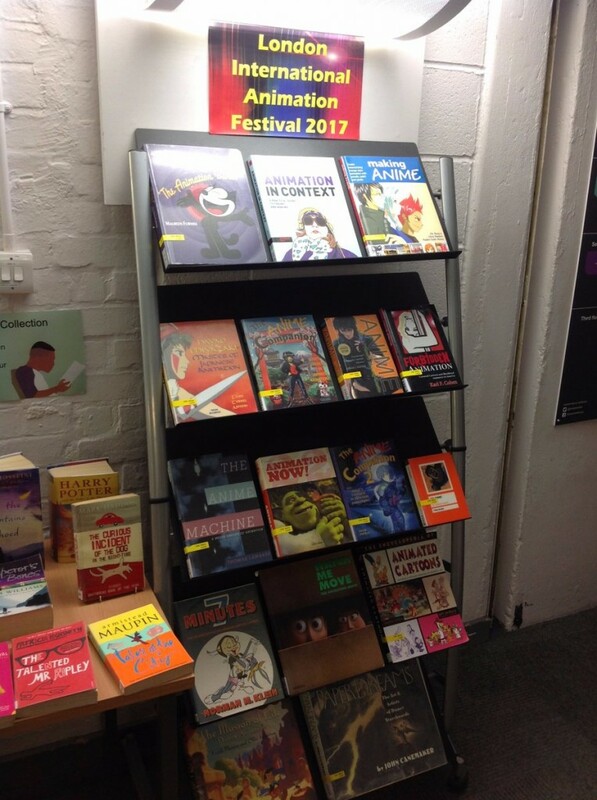 We have plenty of animation books in Aldgate library, see our current display for a few of them. Don’t forget as well as a DVD collection (and even some videos!) there is Box of Broadcasts (BOB), the on demand TV and radio service for education, available through the library catalogue, where you can view many animations as well. If you’re a fan of cartoon art, there is also the Cartoon Museum in Holborn which currently has an exhibition of comic strip art. This entry was posted in event, Exhibitions and tagged "art history", "Art Library", "graphic design", animation, exhibitions. Bookmark the permalink.